You are here: Home » I’m not done with you, my sweet. I’m not done with you, my sweet. As though I’d stop at marshmallows! I’ve gotten the mothership to start saving egg yolks for me in preparation for the next batch of ice cream. I had tipped of T that I had a pound of Trader Joe chocolate up for use – it turns out that I had purchased the right ‘colour’ of packaging, but it contained almonds as well! (Dark chocolate with almonds, I wanted sans.) She offered to take the goods off my hands in the hopes of making cookies from them (as chips), but unfortunately, I beat her to it. I swear, I really was going to give her the chocolate, but then the realization that I could make Rocky Road ice cream hit! It’s hard to find, no? 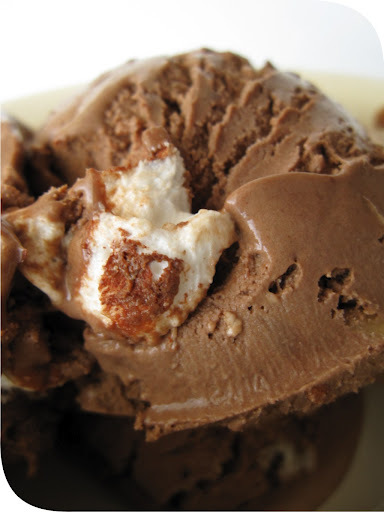 I remember as a child – Rocky Road was as prevalent as vanilla, now…not so much. 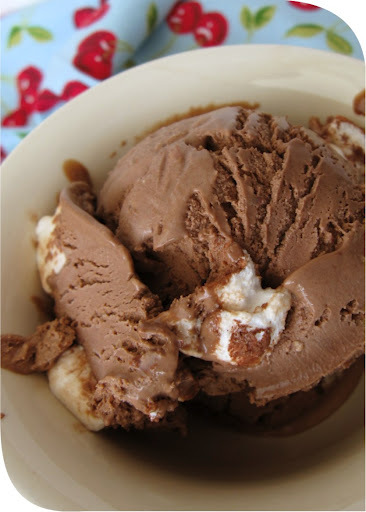 This time I chopped up the chocolate (nuts and all) and melted it and incorporated it into the chocolate ice cream recipe listed a few posts back. Did I mention that I used about a tablespoon of instant espresso powder? It added a nice depth. In the process of making the ice cream, I had to strain out the nuts anyway (with any egg solids), but put them back in later. The chocolate with nuts actually made very good….very nutty ice cream! Mmmm…I bet a fruit ‘n nut ice cream would be great. Vanilla base…with a hit of rum? Oh yes. She will be mine. For those inquiring minds, I did not prefreeze the marshmallows and they still stayed pillowy soft. Lovely. University friends in a few days. 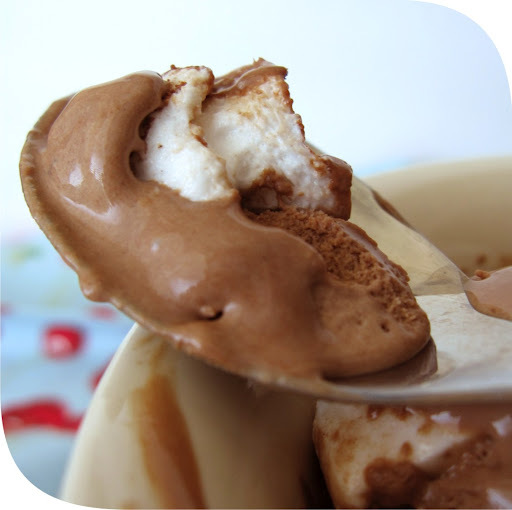 I found a recipe for waffle cones – so I’m thinking, “asymmetrical waffle bowls, ice cream, and Grand Marnier caramel.” The caramel, I bought at the recent food show – it’s by Caramoomel a local specialty-foods company. They make an impressive line of different flavoured caramel spreads and dips. I was greedy and I tried every single flavour. If you ask me, I thought the Dulce de Leche was the best, but I already have DdL, so the Grand Marnier was the next-best thing. I’ll try and stop my guests from devouring the dessert before appropriate photos are taken. ← Marshmallows on a cold ‘n rainy day.